As expensive as an Ipad may be, you still may be having some issues installing some interesting programs or applications on it. Imagine being able to enjoy one of the most used mobile messaging social network "Whatsapp," on your cute and cherishable Ipad device. 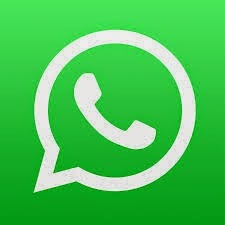 Is more annoying when everything seems so bad that all attempt to run the WhatsApp application claim abortive. Yea, i can understand how you feel and there is always a solution to all of these devices. Have you been finding it difficult running or installing WhatsApp on your Ipad? Have you tried your a** out and you still find it awkward to run the sh*t out of that app on your Ipad? if i heard "Yes," then there is one simple trick you are just not trying out. Maybe you tried installing the application as a kid computer savvy and not as a computer geek. Most of these products often have compatibility problems and your ability to twist these things to your test simply makes the best out of your struggles. Before you can use or install Whatsapp on your ipad, you need to first jailbreak your device. Jailbreaking an apple device is the same thing as rooting your andriod tablet or phone. I have not got much time to write about jail breaking an Ipad. If you still have not jailbroken your Ipad, then you ought to read on how to Jailbreak IOS 7 to IOS 7.04 from my blogger friend +Don Caprio. Let me believe that you have your device Jailbroken and you are ready for the installation of WhatsApp on your Ipad, then the next phase of the saga should be Launching Cydia. Cydia is an alternative to Apple's App Store for "Jailbroken" devices, at this time including iphones, ipads, and ipod touches, specializing in the distribution of all that is not an app. Cydia is not available in Apple App store,nor is it a website. It is instaled on your device using a Jailbreaking tool such as evasi0n or redsn0w. I won't be going into much details because we won't be needing much stories just to install WhatsApp on an Ipad. Download Cydia and install WhatsPad on your Ipad. Upon successful completion, install your WhatsApp application on your Jailbroken Ipad. You need to be careful while you install any of these apps Make sure you are installing the correct applications so as to avert any issues on your device. If you still find it difficult installing the Whatsapp application on your Ipad, let me know via the comment box below this post. I am always willing to help you out. Your comment will help me improve the quality of this post. Please keep it coming. Thats really cool method to install whatsapp on ipad. Great post mate, Very useful. This is indeed very useful article to install whatsapp on ipad. Do you know we have an in-depth article on how to use whatsapp on pc?